Sometimes I think that people who don't marry people from another culture or country are missing out. Why? Because you learn a whole lot of things you probably wouldn't have otherwise had learned. Be Miss "Southern In Law"
And I probably wouldn't have ever come up with this delicious Pecan Pie Raw Bite Recipe. I also wouldn't be as happy - that I'm sure of. Luckily, I did marry Jesse and I get to reap the benefits of both cultures as Jesse and I celebrate all things Australian and all things American. 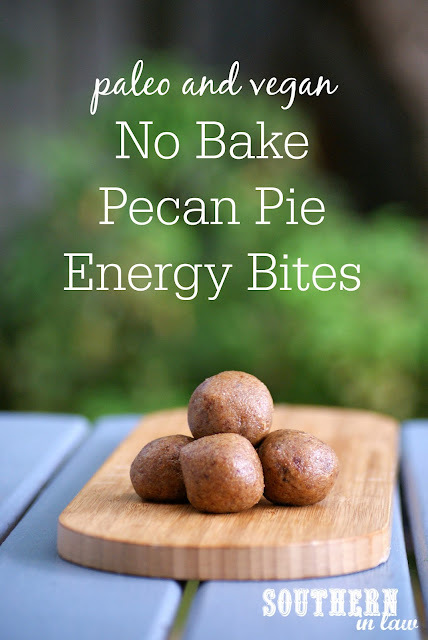 This time next week we'll be celebrating Thanksgiving here in Australia with lots of delicious dishes, however, as Thanksgiving flavours were on my mind, I decided I needed a healthy Thanksgiving inspired treat beforehand - and thus these Pecan Pie Energy Bites were born! 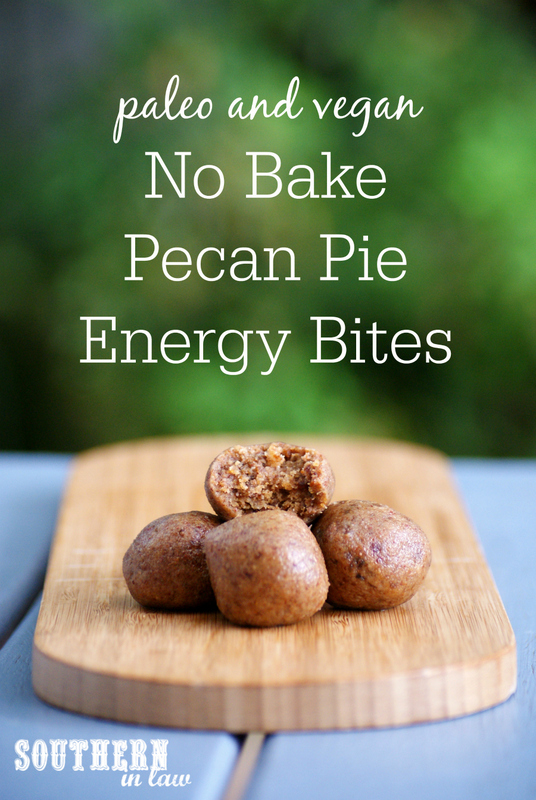 With all the flavours of pecan pie in an easy to make bite, we can not stop eating these delicious little things. 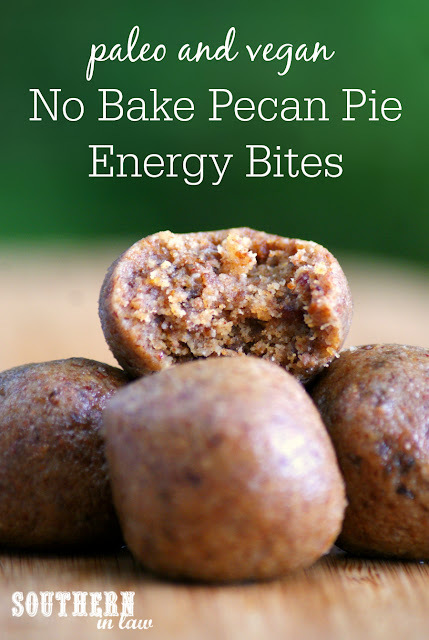 They're gluten free, vegan and paleo and made without any refined sugar so they're the perfect healthy snack or dessert. Process your dates in your food processor until they are broken up and begin to clump together. This usually takes 1-2 minutes, depending on the strength of your food processor. Take your dates our of your food processor and place them into a bowl. Place your nuts into your food processor and process until finely chopped. Add your dates and a pinch of salt, processing until everything is combined and your mix starts to come together. 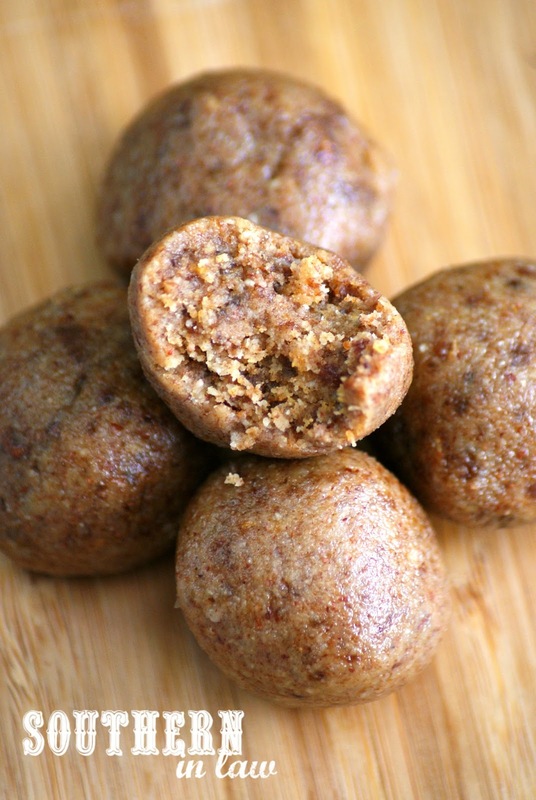 If your mix seems to wet/sticky to roll, pulse through a small amount of coconut flour. Roll your bites, using about 1 tbsp of mix at a time. Repeat until all of your mixture is rolled and enjoy immediately or chill in the fridge so they can firm up. These bites will keep in the fridge in an airtight container for 2 or so weeks or can be frozen to defrost and enjoy whenever you like. *To toast your pecans, simply spread them out on a baking tray and bake at 180C/355F for 4-5 minutes or until fragrant. Allow to cool before making your bites. **You can use two cups of toasted pecans in this recipe, however, we found them a little overwhelming. But tell me, what's something about great you live/where you're from that you think others are missing out on?